The day is immortalized in the legendary Don McLean song “American Pie.” It was a day that saddened music lovers all over the world and shocked the music industry. It was the day the music died. The Winter Dance Party began at the Eagles Club in Milwaukee, Wisconsin on January 23, 1959. It featured the aforementioned stars, Dion Deuce as well as an aspiring teen idol named Frankie Sardou. The tour was set to cover twenty-four Midwestern cities in a span of three weeks. The tour was a logistical nightmare with the amount of travel that was required. Adding to this problem was a tour bus that was ill-equipped to deal with the weather conditions in that part of the country; its heating system broke down shortly after the tour began. In fact, one musician, drummer Carl Bunch, developed a severe case of frostbite to his feet that required hospitalization (Holly and Valens took turns on the drums). It got so cold on the bus that the musicians started burning newspapers in the aisle in a desperate attempt to keep warm. What’s interesting is that the Surf Ballroom in Clear Lake was not intended to be a stop on the tour, but the promoters, hoping to fill an open date, contacted the manager of the establishment and offered him the show. He accepted and the date was set for February 2nd. However, Holly was so frustrated and tired of the malfunctioning tour bus that he told his fellow musicians that, once the show was over, they should attempt to charter a plane to get to the next stop on the tour; which was Moorhead, Minnesota. So flight arrangements were made with Roger Peterson, who was a local pilot employed at Dwyer Flying Service, based in Mason City, Iowa. The fee was $36 per passenger and the single-engine plane could seat three musicians in addition to the pilot. But there was a dilemma, who would fly and who would get to the next destination via the tour bus? Obviously, Holly and the pilot were aboard which left two seats open. Dion was approached to buy a seat, but he thought that the price of $36 was way too much. He recalled his parents arguing about the rent, which coincidently was $36 per month and he could not bring himself to pay an entire month’s rent for a short plane ride. J.P. Richardson had come down with a bout of the flu and asked one of Holly’s band mates, Waylon Jennings, for his seat on the plane and Jennings gave up his seat. Ritchie Valens, who was also feeling the effects of the freezing tour bus, asked Holly’s other band mate Tommy All sup for his seat. Allsup replied that he would flip a coin, with the winner getting the last seat on the plane. Now, contrary to what has been depicted in the biographical movies, the coin toss was not done by Holly; nor did it occur at the airport. The coin toss occurred at the Ballroom shortly before they departed for the airport and was actually done by a DJ who was working the concert that night. The plane took off at 1 a.m. on February 3, 1959 from Mason City Municipal Airport. Approximately 1:05 a.m., Jerry Dwyer, owner of Dwyer Flying Service could see the lights of the plane start to descend from the sky to the ground. The pilot was supposed to file his flight plan once airborne, but he never contacted the tower. By 3:30 a.m., after multiple attempts to contact his pilot and the fact that the airport in Fargo, Minnesota had not heard from Peterson, Dwyer contacted the authorities to report the plane missing. The doomed aircraft had just made it a few miles from the airport. The pilot (who was not certified to fly at night) may have been confused by the darkness and the light snow that was falling. The plane hit the ground nose first at an estimated 150mph killing all four men instantly. In 1976, when the first Buddy Holly Week was held, Paul McCartney was presented with the cuff links Buddy Holly wore the night of the crash. McCartney purchased the rights to Holly’s song publishing and began organizing the annual celebration five years later. On February 29, 1980, an old police file containing Buddy Holly’s horn rimmed glasses and a watch owned by J. P. Richardson were located by the Mason City Sheriff. The items were recovered at the crash site. The crash that ended the lives of Holly, Valens, and Richardson was the break that began the career of Vee. Tommy Allsup would one day open a club named "The Head's Up Saloon," a tribute to the coin toss that saved his life. Dion DiMucci would enjoy a long lived solo career. Inscribed on Ritchie Valens' grave are the words, "Come On, Let's Go." Valens was a pioneer of Chicano rock, Latin rock and was an inspiration to many musicians of Latino heritage. He influenced the likes of Los Lobos, Los Lonely Boys, and Carlos Santana among countless others at a time when there were very few Latinos in American rock and pop music. He is considered the first Latino to ever successfully cross over into Rock mainstream. "La Bamba" would prove to be his most influential recording; not only by becoming a pop chart hit sung entirely in Spanish but also because of its successful blending of traditional Latin American music with rock. He was a pioneer and was an inspiration for many after his tragic death. Valens was the first to capitalize on this formula which would later be adopted by such varied artists as Selena, Caifanes, Cafe Tacuba, Circo, El Gran Silencio, Aterciopelados, Gustavo Santaolalla, and many others in the Latin Alternative scene. Ironically, the Valenzuela family spoke only English at home, and Ritchie knew very little Spanish. Ritchie learned the lyrics of "La Bamba" phonetically in order to record the song in Spanish. "Come on Let's Go" has been covered by Los Lobos, The Ramones and "The Paley Brothers”; (jointly, The Ramones on guitar, bass, and drums and The Paley Brothers on vocals), Tommy Steele, The Huntingtons and The McCoys. "Donna" has been covered by artists as diverse as MxPx, Cliff Richard, The Youngbloods, Clem Snide, Cappadonna, and The Misfits among many others. Robert Quine has cited Valens' guitar playing as an early influence on his style. Ritchie's nephew, Ernie Valens, has toured worldwide playing his uncle's songs, including a new version of the "Winter Dance Party" tour with Buddy Holly impersonator John Mueller. This tour has taken place at many of the original 1959 venues in the Midwest. Valens also appeared in biopic films. Valens was depicted in the 1987 biopic film La Bamba, which was about his life. The film's time period was from 1957 to 1959, in which his age was 16 to 17. It introduced Lou Diamond Phillips as Valens and co-starred Esai Morales as his older half-brother, Bob Morales. Los Lobos performed most of the music in the film. Valens was portrayed by Gilbert Melgar in the final scene of The Buddy Holly Story and Valens will also be depicted in the upcoming 2009 film The Day the Music Died. Valens will be portrayed by Joseph Thornhillas in the 2009 film Lives and Deaths of the Poet. Richardson's son, Jay Richardson, took up a musical career and is known professionally as "The Big Bopper, Jr." He has performed all around the world. Notably, he has toured on the "Winter Dance Party" tour with Buddy Holly impersonator John Mueller on some of the same stages as his father performed. In January 2007, Richardson's son Jay requested that his father's body be exhumed and an autopsy be performed to settle the rumors that a gun was fired or that Richardson initially survived the crash. The autopsy was performed by Dr. Bill Bass, a forensic anthropologist at the University of Tennessee, Knoxville. Jay was present with Dr. Bass throughout the entire autopsy and observed as the casket was opened; both men were surprised to find the remains well enough preserved to be recognizable as those of the late rock star. "Dad still amazes me 48 years after his death, that he was in remarkable shape," Richardson told the Associated Press. "I surprised myself. I handled it better than I thought I would." Dr. Bass' findings indicated there were no signs of foul play. He was quoted as saying "There are fractures from head to toe. Massive fractures. ... (Richardson) died immediately. He didn't crawl away. He didn't walk away from the plane." After the autopsy, Richardson's body was placed in a new casket made by the same company as the original, then was reburied next to his wife in Beaumont's Forest Lawn Cemetery. Jay then allowed the old casket to be put on display at the Texas Musician's Museum. Contrary to popular belief, teenagers John Lennon and Paul McCartney did not attend a Holly concert, although they watched his TV appearance on "Sunday Night at the London Palladium"; Tony Bramwell, a school friend of McCartney and George Harrison, did. Keith Richards attended one of the gigs, where he heard "Not Fade Away" for the first time. Bramwell met Holly, and freely shared his records with all three. Lennon and McCartney later cited Holly as a primary influence. (Their band's name, The Beatles, was chosen partly in homage to Holly's Crickets.) The Beatles did a cover version of "Words of Love" that was a close reproduction of Holly's version. McCartney owns the publishing rights to Holly's song catalogue. A young Bob Dylan attended the January 31, 1959 show, two nights before Holly's death. Dylan referred to this in his 1998 Grammy acceptance speech for his 1997 Time out of Mind winning Album of the Year. Various rock and roll histories have asserted that the singing group The Hollies were named in homage to Buddy Holly. According to the band's website, although the group admired Holly (and years later produced an album covering some of his songs), their name was inspired primarily by the sprigs of holly in evidence around Christmas of 1962. Eddie Cochran, good friend and fellow rock 'n' roll pioneer was so distraught by the deaths of Holly, Valens, and The Big Bopper that he recorded the song "Three Stars" as a tribute. The song was not released until after Cochran's own premature death, because he was too upset to allow it to be issued in his lifetime. The Smithereens' song "Maria Elena" is a Buddy Holly tribute as sung to his widow. Blink-182 has a song named "Peggy Sue" which is a tribute to Holly. Phil Ochs famously sang a long tribute to Buddy Holly on the infamous Gunfight at Carnegie Hall album. Mike Berry released a 1961 single called "Tribute to Buddy Holly.” It was written by Geoff Goddard and produced by Joe Meek, who was a great Buddy Holly fan. In the USA, it was released on Coral, Buddy Holly's label. Musician Albert Hammond, Jr. has a cover of "Well... Alright" on his 2007 album Yours To Keep. Don McLean's popular 1971 ballad "American Pie" is inspired by the day of the plane crash. "American Pie" reached #1 in the US in 1972, but the album containing it was released in 1971. 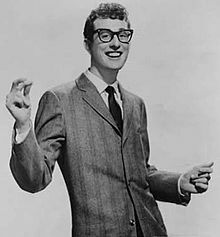 Buddy Holly died in 1959. One of early rock and roll's functions was to provide dance music for various social events. McLean recalls his desire to become a musician playing that sort of music. 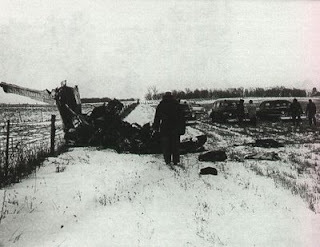 Buddy Holly died on February 3, 1959 in a plane crash in Iowa during a snowstorm. The news came to most of the world on the morning of February 3, which is why it's known as The Day The Music Died. Don McLean's only job besides being a full-time singer-songwriter was being a paperboy. Holly's recent bride, Maria Elena, was pregnant when the crash took place; she had a miscarriage shortly afterward. The same plane crash that killed Buddy Holly also took the lives of Richie Valens ("La Bamba") and The Big Bopper ("Chantilly Lace"). Since all three were so prominent at the time, February 3, 1959 became known as "The Day The Music dies”. One of Holly's hits was "That'll be the Day"; the chorus contains the line "That'll be the day that I die"
When statistics showed that vinyl record sales reached a new high since 1991, the music business began to buzz. According to Nielsen SoundScan, an information and sales tracking system, 3.9 million units were sold in 2011, a 36.3 percent change since 2010. Media outlets like Rolling Stone, The New York Times and USA Today swarmed over the report. Some, like the Chicago Tribune and the Shepherd Express, started taking it to the streets, asking independent record stores how vinyl sales have impacted their business. The Shepherd Express said store owners started noticing the trend in 2004 and saw an increase in vinyl sales in 2009. “I thought (vinyl sales) would peak out, but they haven’t,” said Terry Hackbarth, store manager at The Exclusive Company, an independent record store with locations throughout Wisconsin. The Exclusive Company in Milwaukee, located at 1669 N. Farwell Ave., has “made the switch,” Hackbarth said, meaning less CDs for sale and more vinyl records. 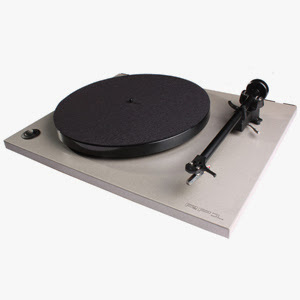 So what accounts for the switch to vinyl records? A few years back, notions like RPM, the B-side and the 12-inch would have got a blank response, at best a snigger, from anyone below the age of 25. In 2012, though, to the astonishment of many in the 'older generation', the youth have become rather fluent in the lexicon of vinyl. And it has seemingly come from nowhere. Vinyl sales were dying off with the people that used them first time around and a revival seemed about as likely as the original line up of The Beatles reuniting. Yet in 2011, sales of vinyl jumped up 40% compared with 2010 against a backdrop of a massive reduction in the overall market for music sales. Reasons for the leap are as diverse as a reaction against the disposability of modern culture, the retro fads of the latest youth generation and the hunt for profits by the record companies. Whatever the reason, you’d think it would be good news for UK print, but unfortunately that’s not necessarily the case. 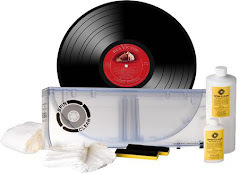 Of course, vinyl never disappeared completely – much like many of the artists that first found fame on the medium, it has diligently plugged away out of the glare of the public attention and without the large sales numbers it once commanded. The release of tape, CD and then digital music tore chunks from its share of the sector, but as Gennaro Castaldo, head of press at music retailer HMV, explains, the new media could not kill it off completely. "Vinyl has never entirely gone away," he explains. "It has long been part of the culture of rock and roll, so for guitar bands in particular it was cool to bring a single or album out on vinyl along with the CD and more recently digital formats. This was replicated among fans – students and ‘bedroom DJs’ like buying and collecting vinyl almost as a badge of honour, they are true music fans." What changed last year was that interest in the medium exploded beyond the collectors and the few DJs still opting for vinyl and moved into the mainstream. ROB ZOMBIE/ex-MARILYN MANSON guitarist John 5's sixth solo studio instrumental album, "God Told Me To", will be released on April 10. 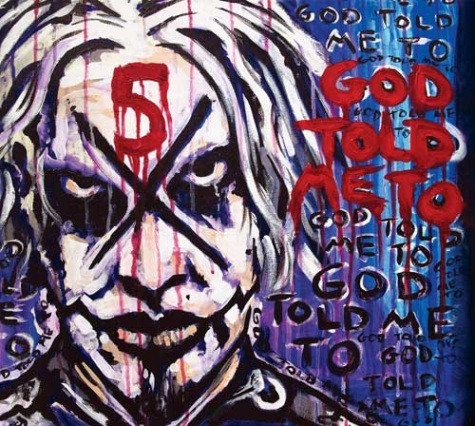 The cover art, which features a painting of John 5 by Rob Zombie, can be seen below. According to John 5, "God Told Me To"will be "half acoustic and half metal and feature music that will blow you away." He has already whetted the fans' appetite by releasing four digital singles from the album: "Beat It" (MICHAEL JACKSON cover), "Welcome To Violence", "Noche Acosador" and "The Castle". 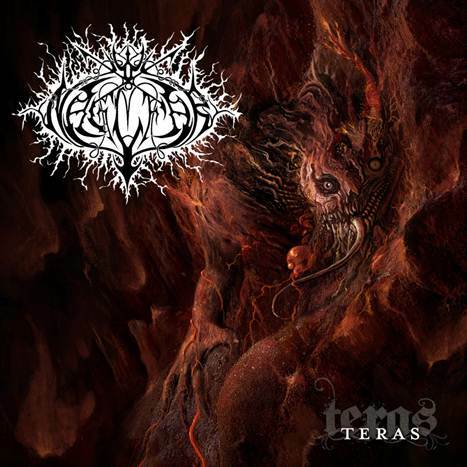 The cover artwork for "Téras", the sixth album from Swedish black metallers NAGLFAR, can be seen below. Responsible for the artwork is Niklas Sundin of DARK TRANQUILLITY, who has previously worked with such bands as IN FLAMES, ARCH ENEMY and AT THE GATES. 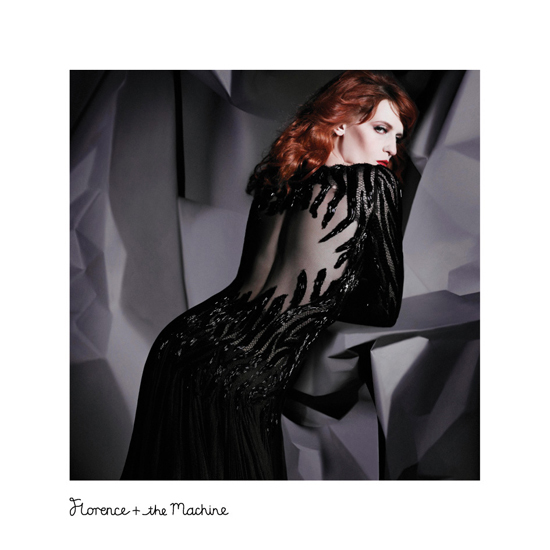 The album cover only shows a part of the overall motif, which is going to be shown in its entirety with the release of the new CD. 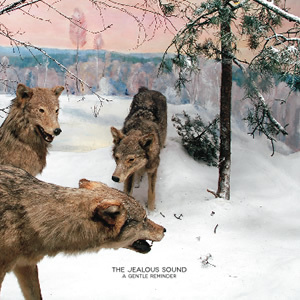 The Jealous Sound have a new record out called "A Gentle Reminder" on the Music Is Subjective record label. Pre-Order Now, will be shipped on or Before March 31st. Pick from Baby Blue or Pink Vinyl! SANTA MONICA, Calif., Feb. 2, 2012 /PRNewswire/ -- Twenty-time GRAMMY® winner Bruce Springsteen and The E Street Band have been added to the stellar lineup for the 54th Annual GRAMMY Awards® (www.grammy.com). Actor/recording artist Jack Black, six-time GRAMMY winner and current three-time nominee Fergie, three-time GRAMMY winner and current nominee Amir "?uestlove" Thompson (The Roots), and nine-time GRAMMY winner Ringo Starr will appear as presenters. Music's Biggest Night® — hosted by two-time GRAMMY winner LL COOL J — takes place live on Sunday, Feb. 12 at STAPLES Center in Los Angeles and will be broadcast in high definition and 5.1 surround sound on the CBS Television Network from 8 – 11:30 p.m. (ET/PT). The show also will be supported on radio worldwide via Dial Global, and covered online at GRAMMY.com and CBS.com, and on YouTube at www.youtube.com/thegrammys. Additional performers, presenters and special segments will be announced soon. For GRAMMY coverage, updates and breaking news, please visit The Recording Academy®'s social networks on Twitter and Facebook: www.twitter.com/thegrammys, www.facebook.com/thegrammys. Previously announced performers for the 54th Annual GRAMMY Awards include Adele (in her first live performance since undergoing vocal cord surgery last fall); Jason Aldean and Kelly Clarkson; Glen Campbell with The Band Perry and Blake Shelton; Coldplay and Rihanna; Foo Fighters; Bruno Mars; Paul McCartney; Nicki Minaj; Katy Perry; and Taylor Swift. Aldean, The Band Perry, Minaj, and Shelton will perform on the GRAMMY telecast for the first time. Previously announced presenters are Dierks Bentley, Drake, Miranda Lambert, and Gwyneth Paltrow. LL COOL J has hosted "The GRAMMY Nominations Concert Live!! — Countdown To Music's Biggest Night" since its inception in December 2008, and this is his first time hosting the annual GRAMMY Awards telecast. In 1956, Elvis Presley, Jerry Lee Lewis, Carl Perkins and Johnny Cash record together at Memphis' Sun Studios in what would become known as the Million Dollar Quartet sessions. In 1958, the Royal Teens' biggest hit, "Short Shorts" enters the US record charts on its way to number 3. The song was originally an instrumental warm up number that the group added silly lyrics to. The tune was recorded in about twenty minutes of left over studio time and released after a record label executive took a liking to it. In 1960, Frank Sinatra formed Reprise Records. In 1961, at the East Orange, New Jersey home of friends Sid and Bob Gleason, Bob Dylan made his first recordings, "San Francisco Bay Blues" and "Jesus Met The Woman At The Well." In 1962, Gene Chandler's "The Duke Of Earl" tops the Cashbox Best Sellers chart for the first of a five week stay. On this day in 1963, "Hey Paula" by Paul & Paula was the #1 song. In 1964, the Beach Boys released "Fun, Fun, Fun." The single was released on the band's album 'Shut Down Volume 2.' The single peaked at the number 5 spot on the Billboard chart. 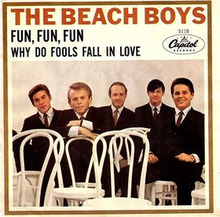 The song was written by Brian Wilson and Mike Love about Shirley England, the daughter of the owner of radio station KNAK in Salt Lake City, Utah where she worked as a teenager. She borrowed her father's Ford Thunderbird to study at the library. Instead of driving to the library, she ended up at a hamburger stand. When her father found out, he took the car away. The next day she was at the radio station complaining about it to the staff while the Beach Boys were visiting and they were inspired to write this song. The song, backed by a single-only mix of a cover version of Frankie Lymon and The Teenagers' "Why Do Fools Fall In Love", became a top-five hit. The stereo and mono mixes stem from the same recording but have a significant difference: the fadeout on the stereo mix fades out early into the song's outro, with the instruments fading away before the vocals (and an overdubbed drum part). The mono mix, as heard on the 45 as well as mono copies of Shut Down Volume 2 has an extended outro. In 1967, Joe Meek, a British Pop and Rock producer, kills his landlady before shooting himself in the head. He is best remembered for the instrumental hit, "Telstar", which he wrote for the Tornadoes. In 1968, the Beatles began recording "Lady Madonna." They finished the track on February 6. This single was the last release by the band on Parlophone in the UK and Capitol Records in the US. All subsequent releases, starting with "Hey Jude" in August 1968, were released on their own Apple Records label. Also in 1968, an Oxford, Ohio group called the Lemon Pipers saw their only Billboard chart-maker, "Green Tambourine", reach #1 in the US. It made #7 in the UK. In 1969, against the wishes of Paul McCartney, John Lennon, George Harrison, and Ringo Starr hired Allen Klein to be the Beatles' new manager. McCartney wanted his father-in-law, Lee Eastman, for the role. In 1978, Gerry Rafferty released the single "Baker Street." In 1979, a sold-out concert at the Surf Ballroom in Clear Lake, Iowa, is held commemorating the 20th anniversary of the crash that killed Buddy Holly, Ritchie Valens and The Big Bopper. Wolfman Jack hosted the show which featured performances by Del Shannon, Jimmy Clanton and The Drifters. In 2003, legendary music producer Phil Spector was arrested for investigation of murder after police found a woman shot to death at his Los Angeles mansion. The 62 year old Spector, whose Wall Of Sound technique transformed 1960s Pop music, was freed after posting $1 million bond. The body of 40-year-old Lana Clarkson, a TV and film actress, was found in a pool of blood with a gunshot to the face at the marble entrance to Spector's home. In 2004, Gene Hughes, who sang lead vocal on The Casinos' "Then You Can Tell Me Goodbye" in 1967, died in Nashville at the age of 67. He had been injured in an car crash and suffered several setbacks during his recovery. Also in 2004, 58 year old saxophonist, Cornelius Bumpus, formerly of the Doobie Brothers and Steely Dan, suffered a fatal heart attack while on a commercial flight from New York. In 2007, Wayne Fontana, of "Game Of Love" fame, was arrested at his home in Glossop, Derbyshire, England and charged with arson with intent to endanger life. The 61 year-old, who was already set to appear in court in March on traffic offenses, was accused of pouring gasoline over a bailiff's car and setting it on fire. The following November, he would be sentenced to 11 months in jail, but was allowed to walk free from court immediately after already serving the equivalent of his term while held under the Mental Heath Act.